UNITED STATES: New York state has launched a request for proposals (RfP) for at least 800MW of offshore wind capacity. Bids are to be submitted in February 2019, and the New York State Energy Research and Development Authority (NYSERDA) expects to award 25-year contracts in spring 2019 "to take advantage of expiring federal tax credits". Projects should be between 200MW and 800MW, Nyserda said. Each developer should also submit at least one proposal of around 400MW, it added. The authority may award more than 800MW "if sufficiently attractive proposals are received", according to the solicitation. NYSERDA does not state when projects must be online, only that bidders "must demonstrate that its project can be developed, financed and constructed within a commercially reasonable timeframe". It will procure offshore wind renewable energy certificates (ORECs) from winning projects. 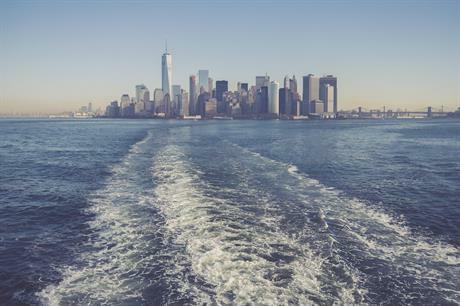 The tender is an initial step towards New York’s goal of sourcing 50% of its electricity from renewables by 2030, and having 2.4GW of offshore wind capacity off its coast by the same date. NYSERDA identified two potential sites, each capable of supporting at least 800MW, off the coast of New York, in a roadmap to 2.4GW of offshore wind published in January.